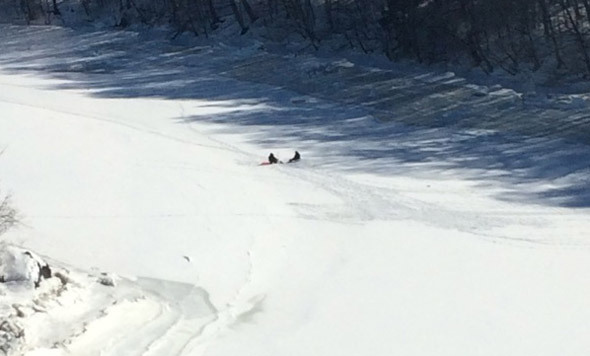 State Police report three troopers teamed up to grab a man about to plunge off the Dorchester side of the Neponset River Bridge early this morning. Read more. Baker's Chocolate ad card from the late 19th century. The Dorchester Reporter recounts when the world of chocolate centered on Dorchester Lower Mills - and Walter Baker's chocolate works on the Neponset River. Image from the BPL collection. Posted under this Creative Commons license. 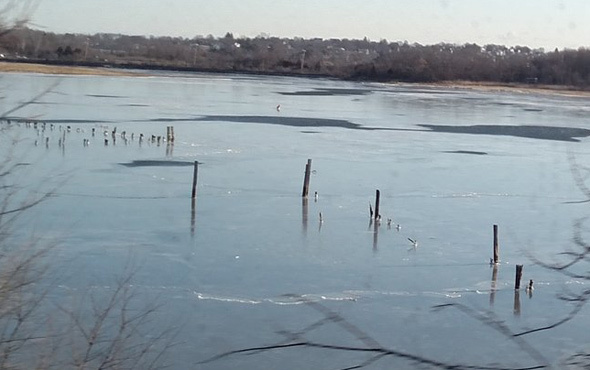 The mouth of the Neponset was pretty icy along the rotting pilings near the Venezia in Port Norfolk today. There was still a fair amount of open water out in the center of the river. The Bulletin reports the river has incredibly high levels of both the sort of bacteria usually found with human waste and toxic PCBs - which is why the owner of the shopping plaza on the Hyde Park/Mattapan line hasn't put in the riverside restaurant he once wanted to. On Friday at 5 p.m., DCR opened the newest section of the Neponset Greenway, a 1.3-mile stretch from near Central Avenue into Mattapan that includes the new Harvest River Bridge crossing the river between Mattapan and Milton. If you pull into the parking lot for the Ryan Playground, on River Street, sort of opposite Gladeside Avenue in Mattapan, follow the new path into the woods, which will take you to the Greenway. Turn left and you'll soon come to the bridge, the river and the path towards Lower Mills. Read more. Mark Smith watched the snow come down on Paul's Bridge and the Neponset River at the Hyde Park/Milton line this afternoon. Ben Franklin outside Old City Hall was looking good in the snow as well: Read more. Boston Police report they are investigating an indecent attack on a female juvenile near the bridge that crosses from Truman Parkway to Glenwood Avenue over the Fairmount Line train tracks and the Neponset River about 7:30 a.m. on Wednesday. Read more. Looking across the Neponset River Reservation towards the Great Blue Hill from Meadow Road, in the southernmost reaches of Hyde Park. Among the items volunteers pulled out of the Neponset and its banks in Hyde Park during an annual clean-up drive on Sept. 24: Two cash registers (empty of cash), a Boston Herald honor box dumped near the river in 1995 (based on the date of a newspaper still inside it), a house oil tank, a wheelbarrow, computers, a highway sign, 12-foot sections of iron fencing, baby potties, TVs, radios, cinder blocks, bricks and other construction material, 18 shopping carts, 49 tires and lots of spaghetti that appeared to have been recently made. The Neponset River Watershed Association sent volunteers to several points along the Neponset in Hyde Park this morning for its annual river cleanup. 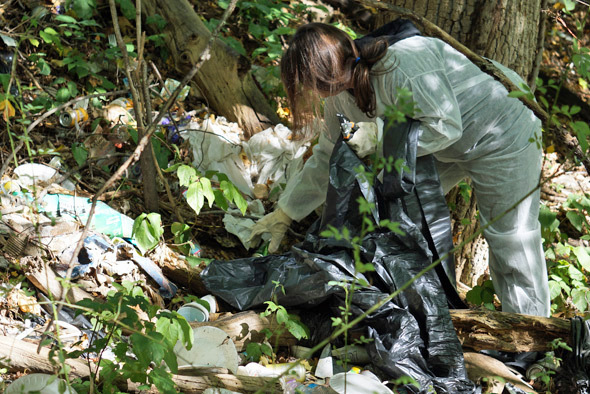 Behind Le Phare Church on River Street on the Hyde Park/Mattapan line, volunteers struck the mother load of trash: An entire hillside covered in what looked like the detritus of months of buffets. Read more. A drone video posted on Scott Eisen's channel shows the Milton rowing team and some fascinating scenery along the Neponset estuary. People who cross the Neponset River between Dorchester and Milton on Granite Avenue traverse a bridge that looks like, and is, a relic of the days when the Neponset River was a working river. The nation's first railroad, built in 1826, ferried granite blocks from a Quincy quarry to a wharf on the banks on Gulliver's Brook, which is just upstream of the bridge, and from which the builders of the Bunker Hill Monument got their granite blocks. 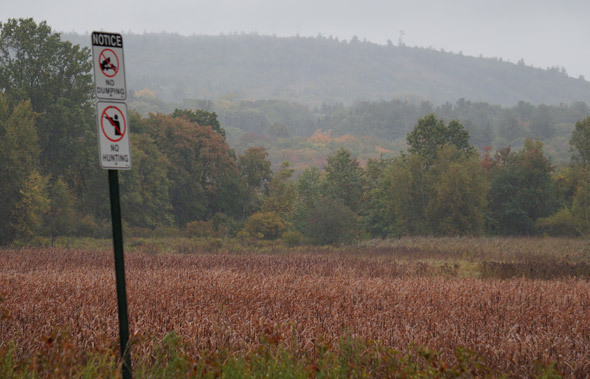 Milton, Boston and State police continued searching along the Neponset River for Thomas Baker, 62, but began searching the woods of the nearby Blue Hills Reservation as well. A roving UHub photographer who happened to be at the 88 Wharf building in Milton this afternoon watched a couple of guys settle in on the Dorchester side of the Neponset River for some ice fishing. 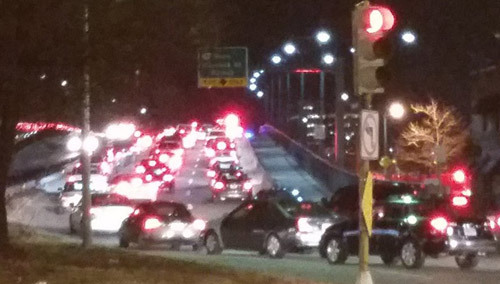 A report that somebody jumped off the Neponset River Bridge around 8:15 p.m. brought Boston firefighters by land and sea until they got an update that the jumper was at the Granite Avenue drawbridge upstream a bit, where they met state troopers, who told them that it was a couple of kids jumping off the bridge - who came out soaking wet on the Dorchester side and then ran away when they spotted a statie looking at them. Ed Coppinger, who happened to be right in the area, reports that 30 first responders showed up, before realizing it was just a couple of kids, not a potential suicide. Fireboat waiting for a drawbridge opening that never came. Photo by Todd Duval. A brush fire along the Neponset River just upriver from the Granite Avenue bridge around noon brought a BFD fireboat - which then couldn't reach the fire because the bridge turned out to be stuck. BFD spokesman Steve MacDonald reports it turned out the river near the fire was too shallow for the boat, anyway, and that the fire burned itself out about an hour later. News that the bridge couldn't get up brought the Coast Guard and the State Police, to try to see what to do about that, because the Coast Guard requires draw bridges to be able to draw. 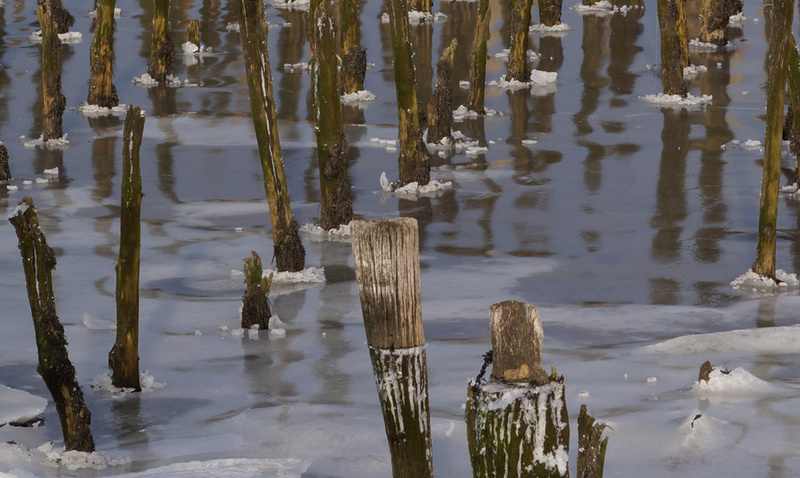 Brian MacLean photographed the Neponset River in Lower Mills yesterday. Copyright Brian MacLean. Posted in the Universal Hub pool on Flickr. Brian MacLean captured the Neponset at Lower Mills the other day.